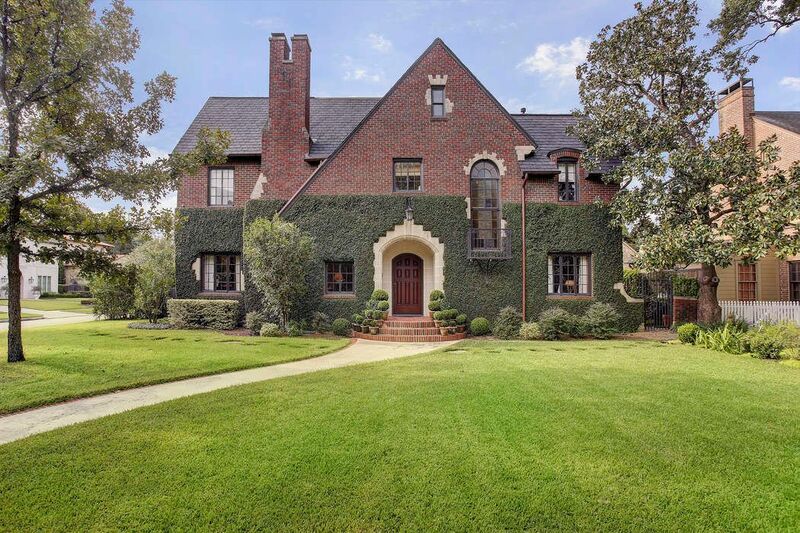 3203 Huntingdon Place, Houston, TX 77019 | Martha Turner Sotheby's International Realty, Inc.
Classic Tudor in River Oaks Country Club Estates. Charles A. Dieman architect, with homes listed on the National Register of Historic Places. Formal front with limestone and brick facade. 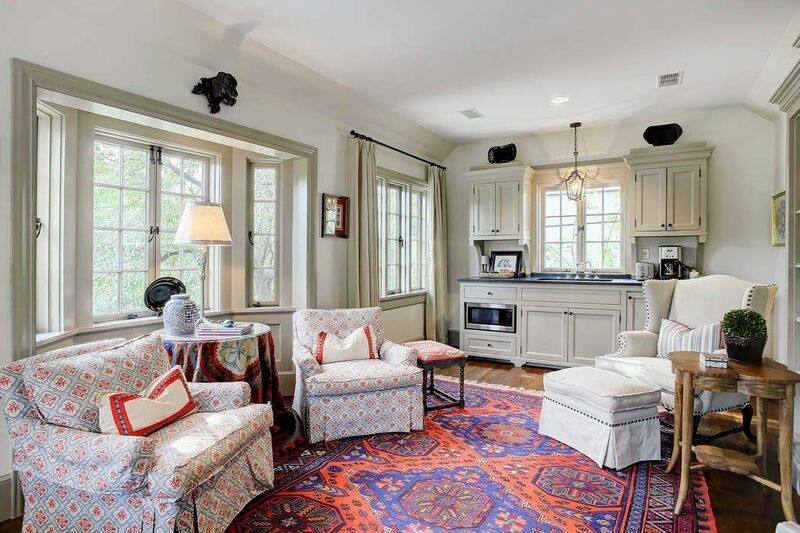 Interior renovations in 2014-2015 by Curtis & Windham Architects. 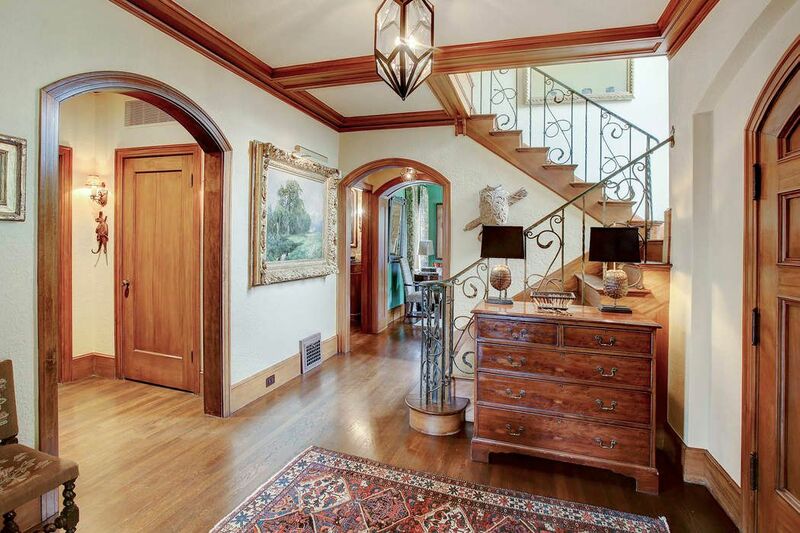 Charming entry with original stair banister, original hardwood floors and beautiful GumWood trim. 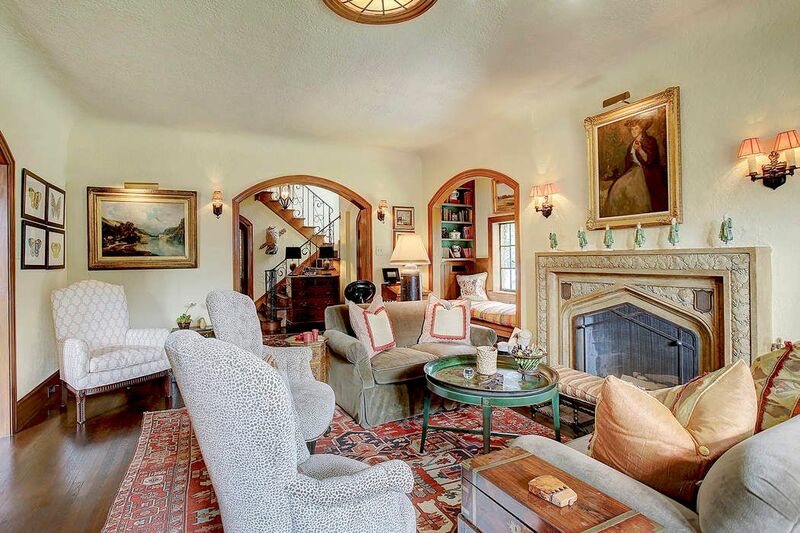 Living room with original wood burning fireplace with stunning mantle and old world plaster walls. Many original lighting fixtures. 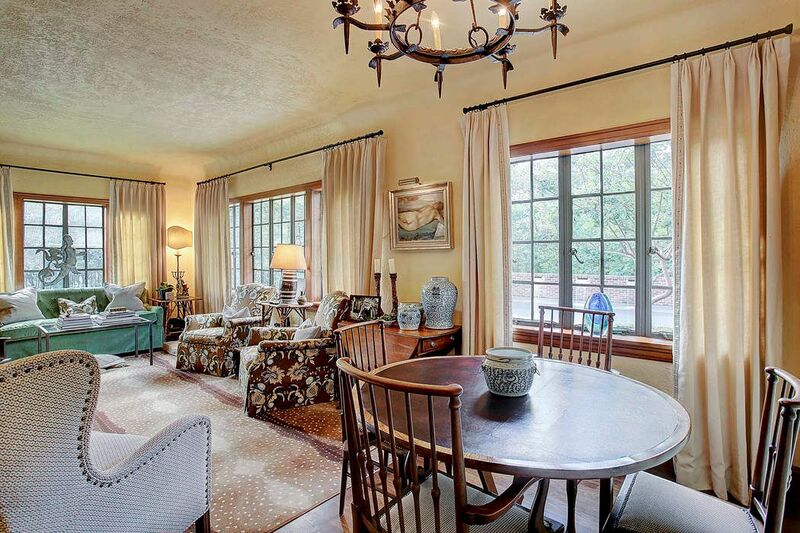 Elegant formal living, spacious for entertaining, leaded glass paneled windows, lots of natural light. Cozy up in this precious window seat flanked by bookshelves. Or the perfect perch for your pooch to keep an eye on things! 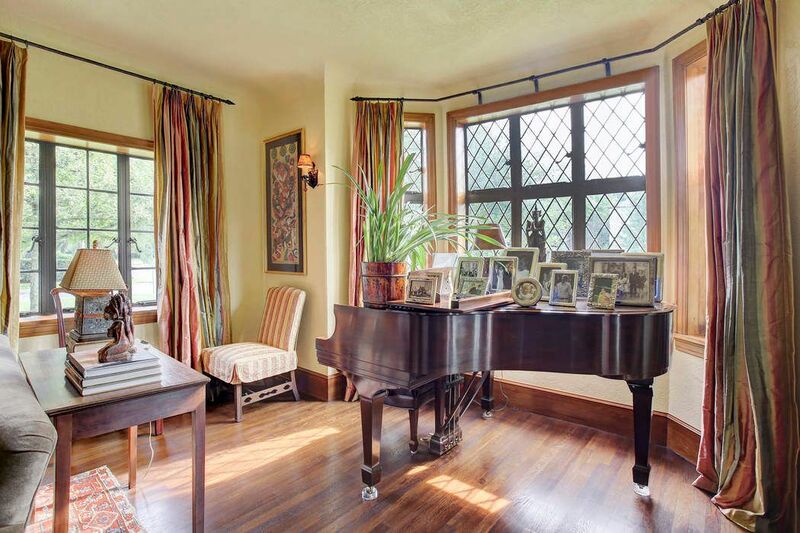 Far end of the living room turned music area in this elegant bay window with original diamond shaped leaded glass windows. Door leading to the side yard on the far right side. 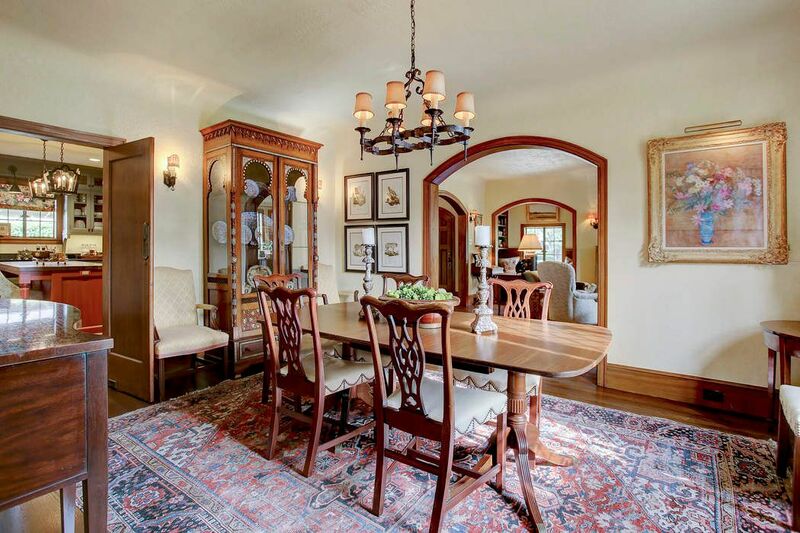 Wine and Dine your guests in this elegant dining room with arched opening to the living room. Handsome chandelier and convenient location next to the kitchen. 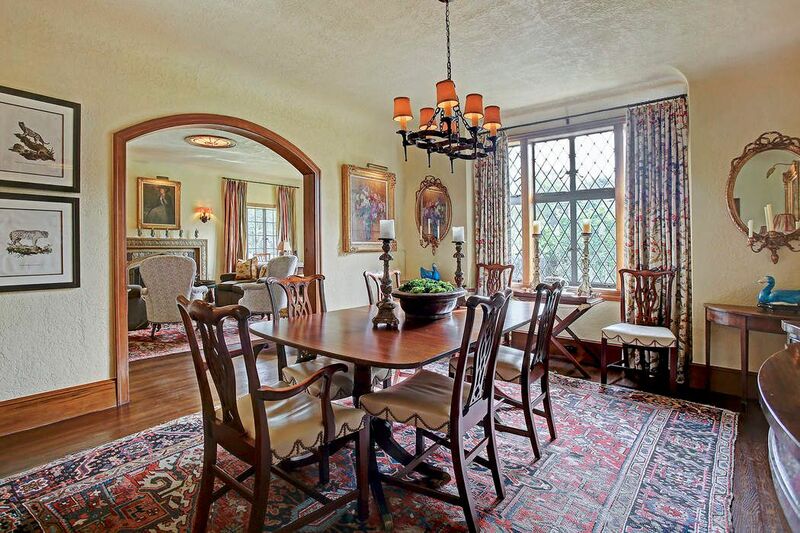 View of the dining room looking out another set of antique leaded glass windows. Spacious seating for any size dinner party. 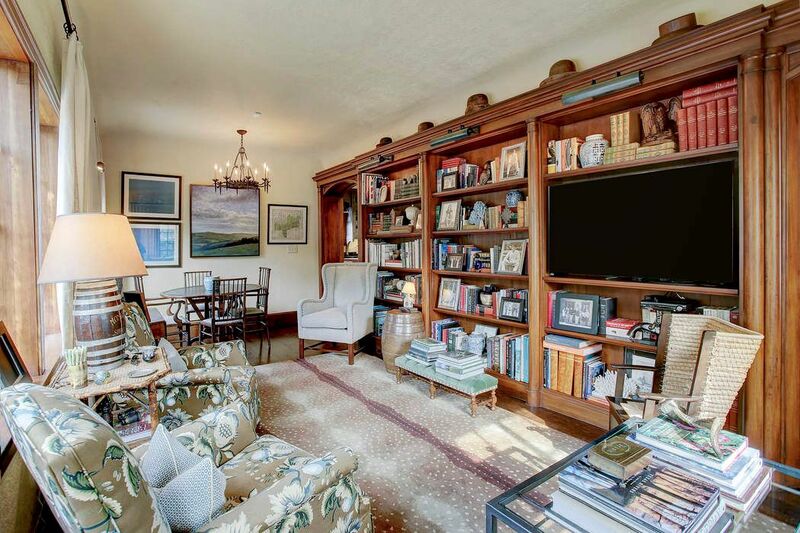 Handsome library with GumWood bookshelves with specialty lighting, architecturally designed passage into the dining room on the right. Another view of the library with intimate seating at one end, lots of natural light and easy access to the kitchen. State of the art kitchen, renovated in 2014-2015. 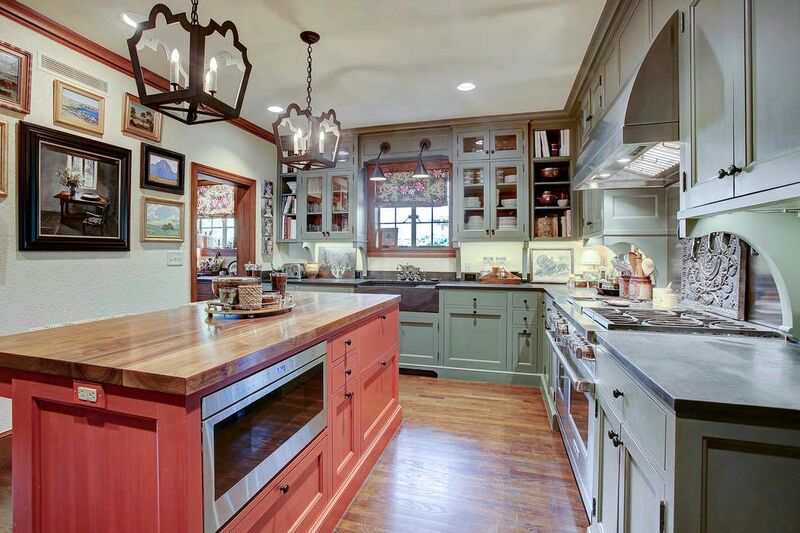 All the bells and whistles for those that love to cook. Wolf stove and cook top, built-in refrigerator/freezer, breakfast bar/island and lots of storage. 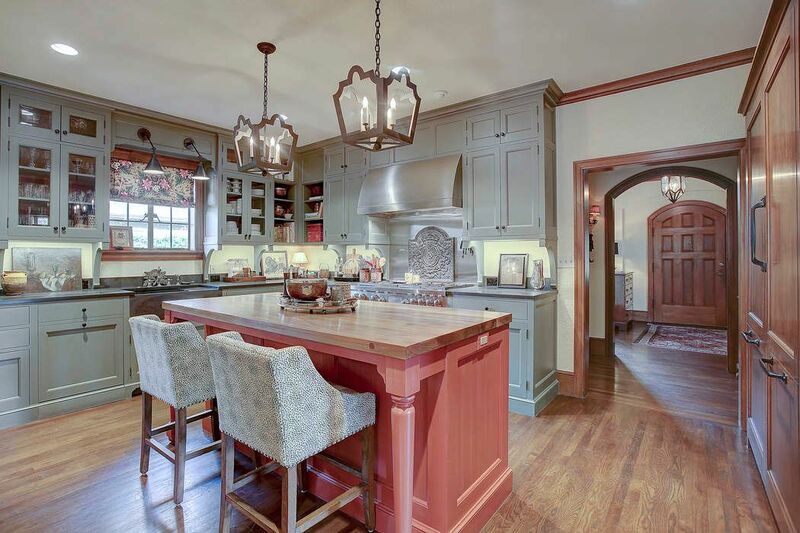 Another view of kitchen, custom designed light fixtures, counter tops are water brushed slate and stone sink. Ice maker in the pantry. 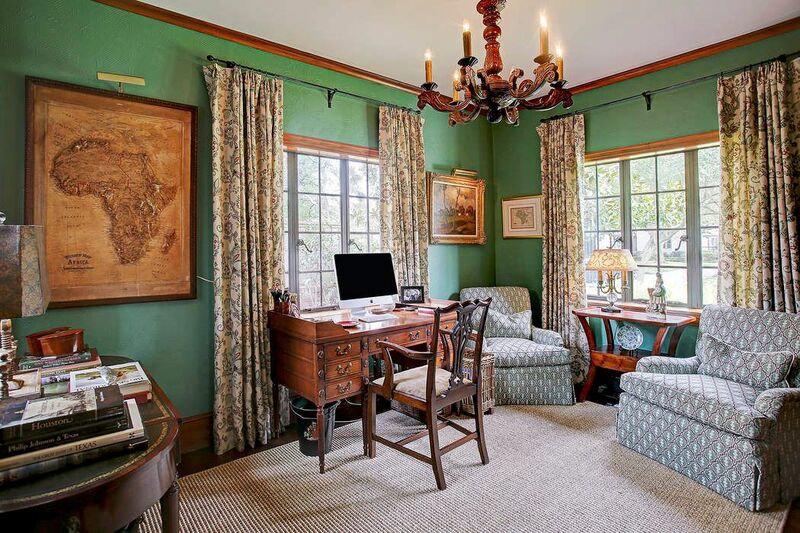 Inviting study with wallpaper, 3 windows, built-in bookshelves on side wall. Pretty views of the outdoors. 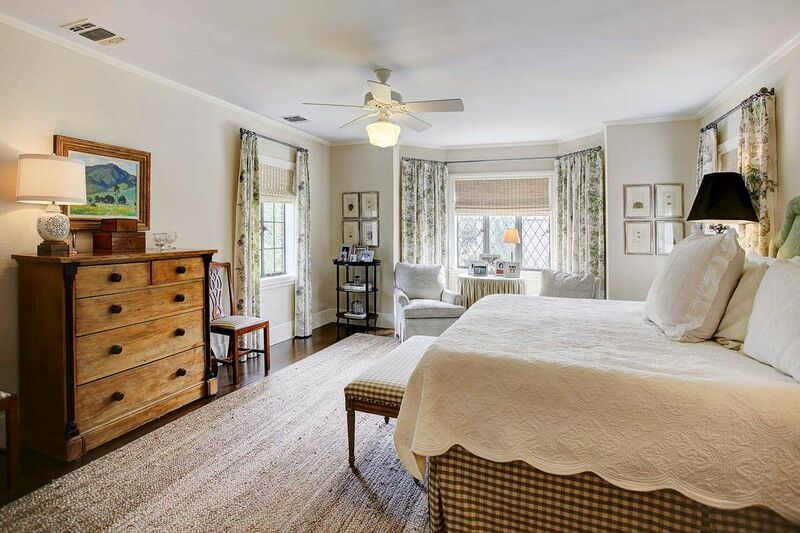 Calming master bedroom with bay window and seating area, hardwood floors, subtle wallpaper, elegant window shades and draperies. 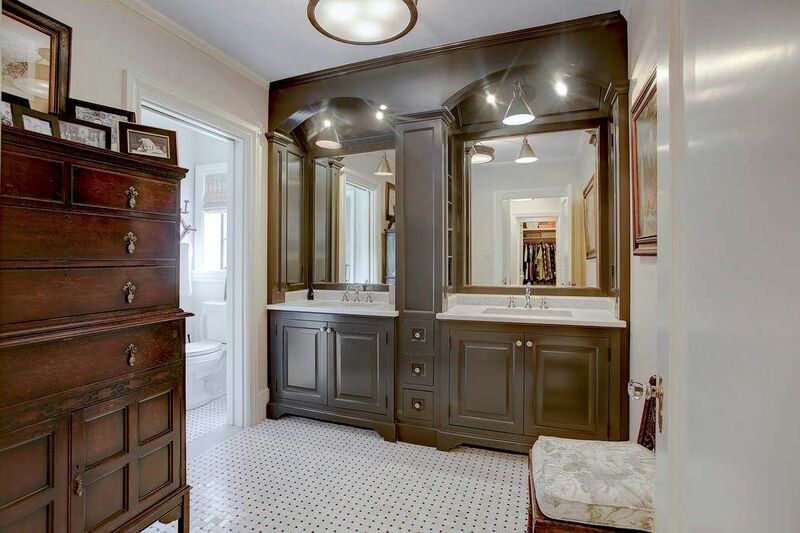 Double sinks in master bath, all woodwork was handpainted in renovation. Doorway to the left into shower area. Secondary bedroom with matching wallpaper and draperies. Cozy and quaint. 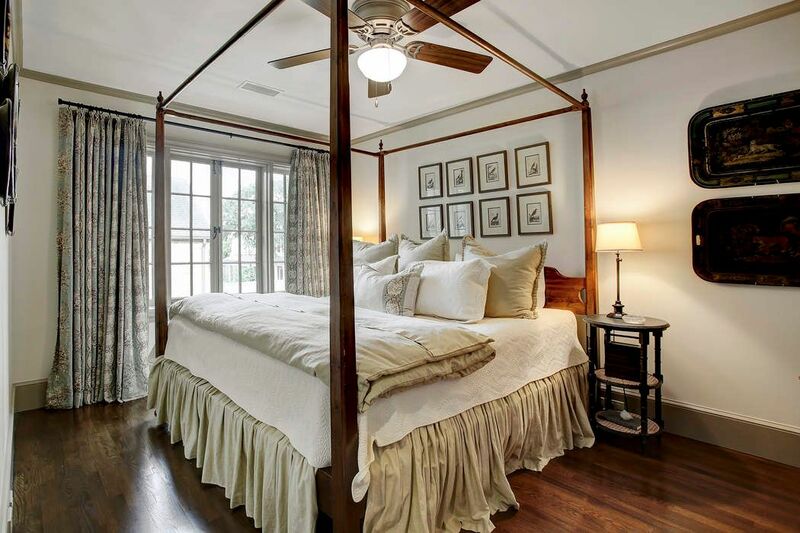 Secondary bedroom wtih burlap shades, hardwood floors and tucked away for ultimate privacy. 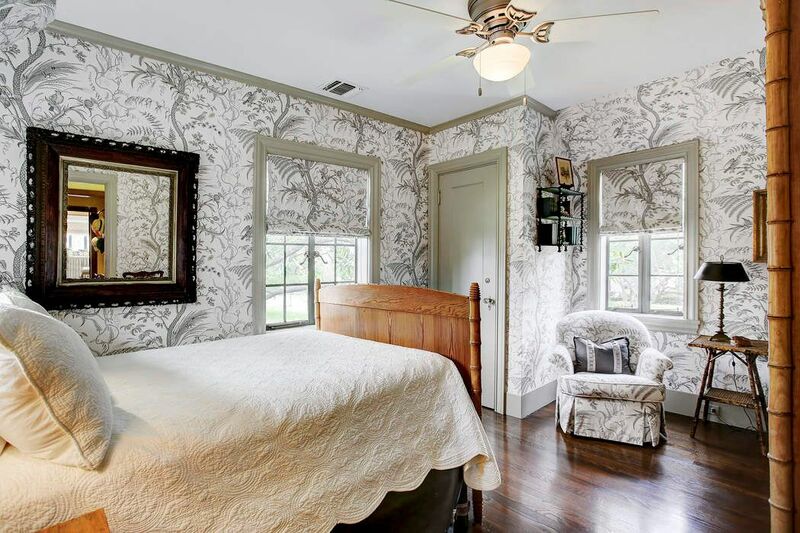 Seondary bedroom, light and bright, wallpapered with custom curtains and shade. 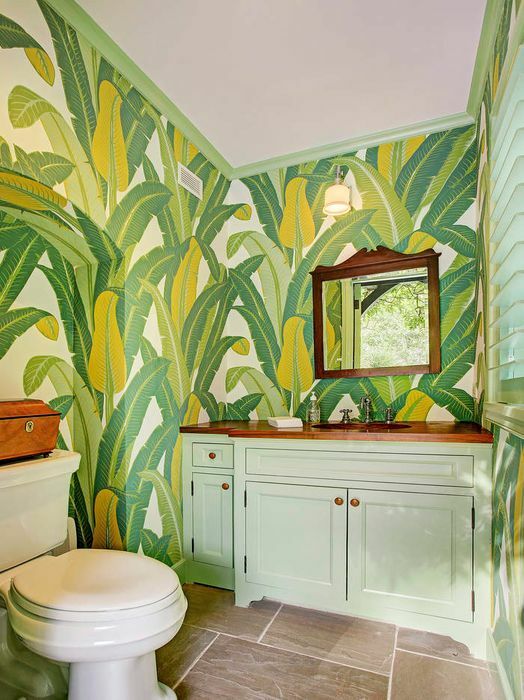 One of two secondary bathrooms. 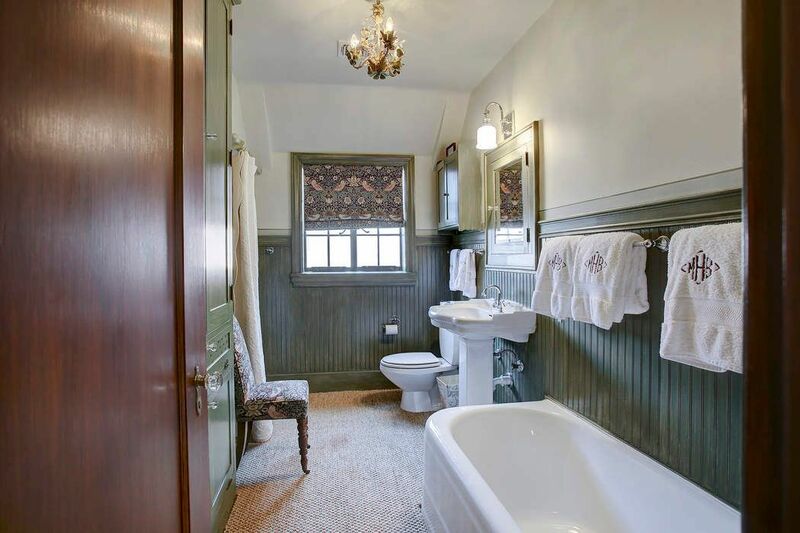 Many original features make it charming for today's use! 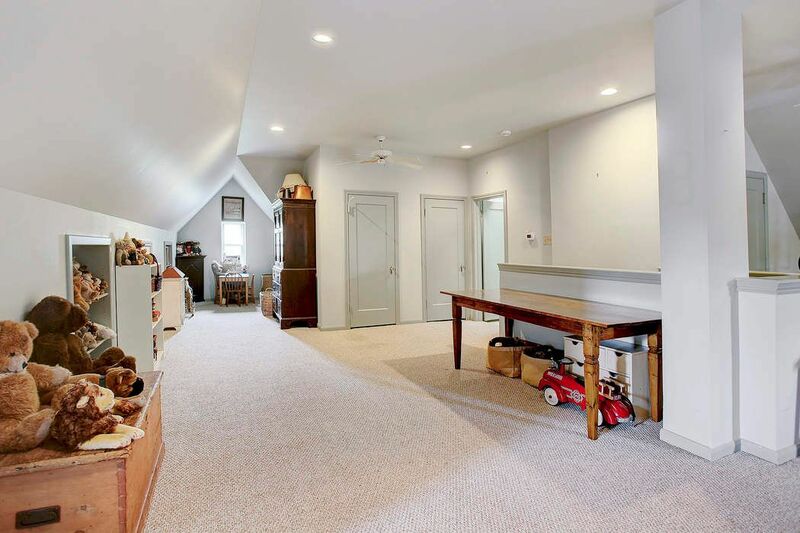 3rd floor bonus room. Game room, media, exercise, project closet, laundry facility, study nook....plenty of space to organize any way it fits your family. 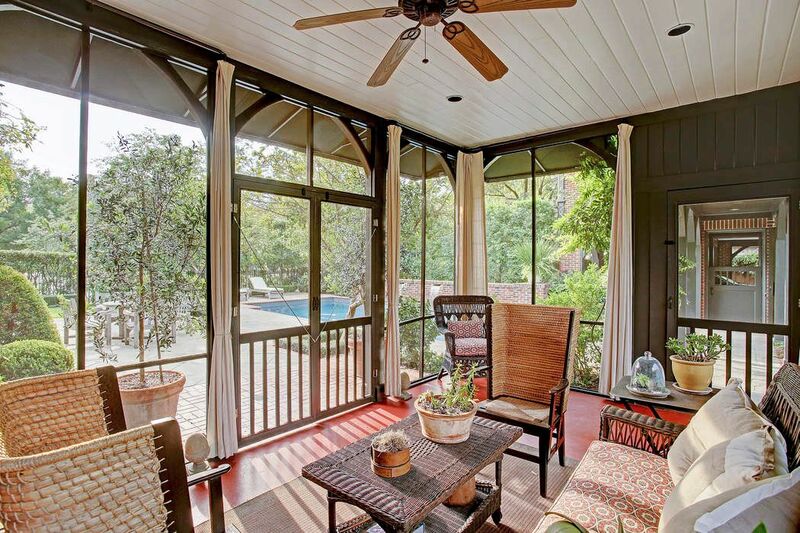 Rarely does a screened porch have this kind of charm. Recent awnings and draperies, cement floor and doors to the pool. Perfect for entertaining or cuddling up with a good book and a glass of wine. Guest House living and dining. Added on to original home during 2014-2015 renovation. Absolute perfection. Guest house view to small kitchen area. Lots of natural light, your very own tree house! 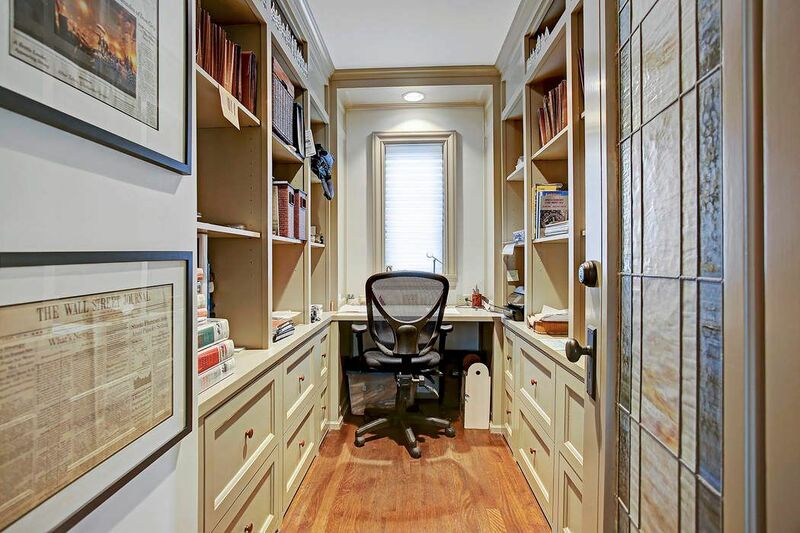 Small office for work at home with lots of storage and stained glass door insert passed down in the family. Guest house bedroom, toile curtains, hardwood floors and ceiling fan. 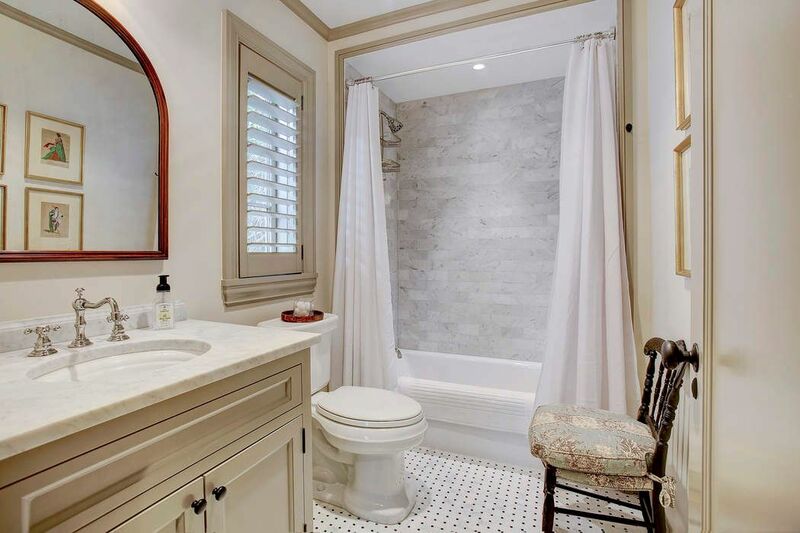 Guest house bath with tub/shower and vanity. Pool area with plenty of room for seating, waterfall feature in pool and views of screened porch in the back right, guest house in the back left. 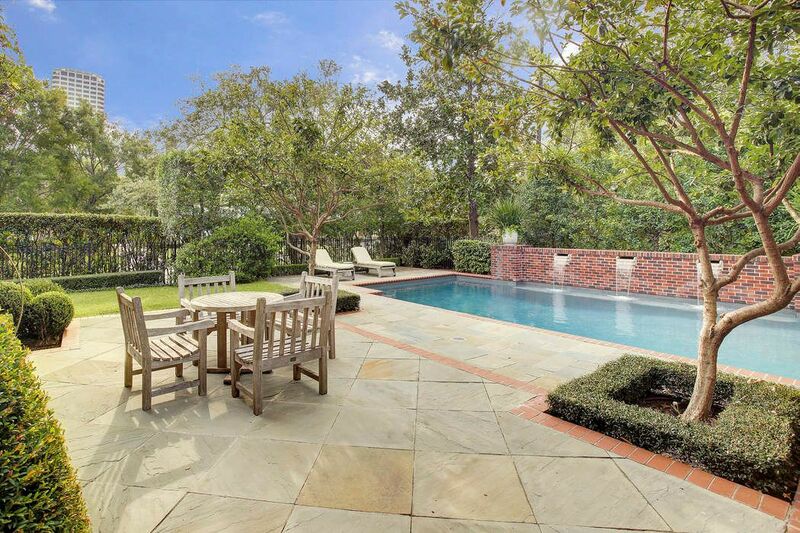 Pool with grassy area to the far left and back, slate patio. 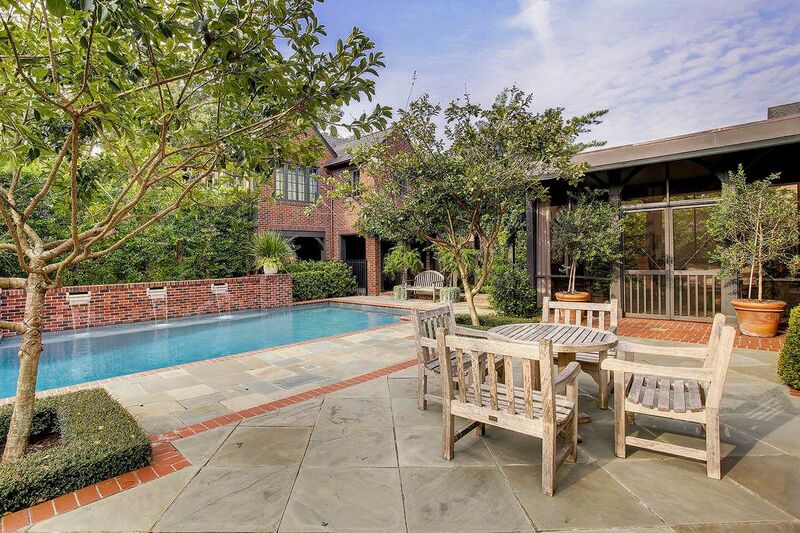 Take a plunge and enjoy your family and friends in your beautiful backyard. Pool bath...irresistible with this amazing wallpaper! View of backyard on the side of house, plenty of room for play. 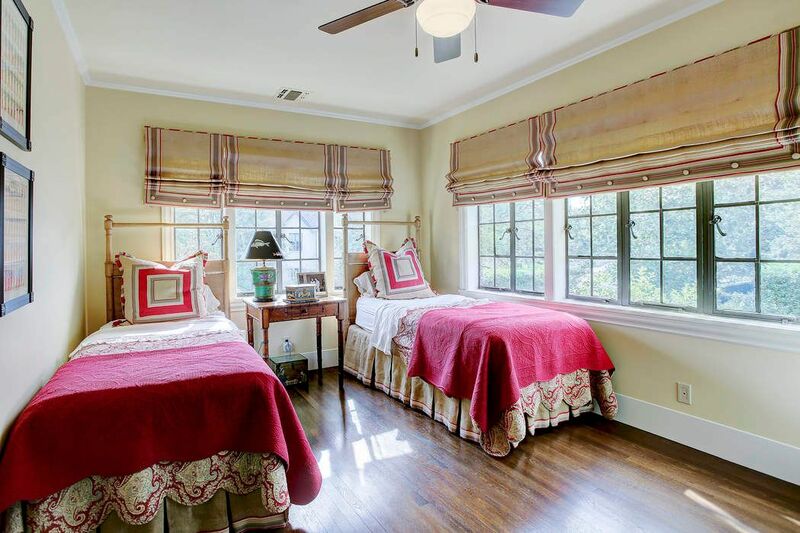 $3,800,000 4 Bedrooms3 Full / 1 Partial Baths4,848 sq. 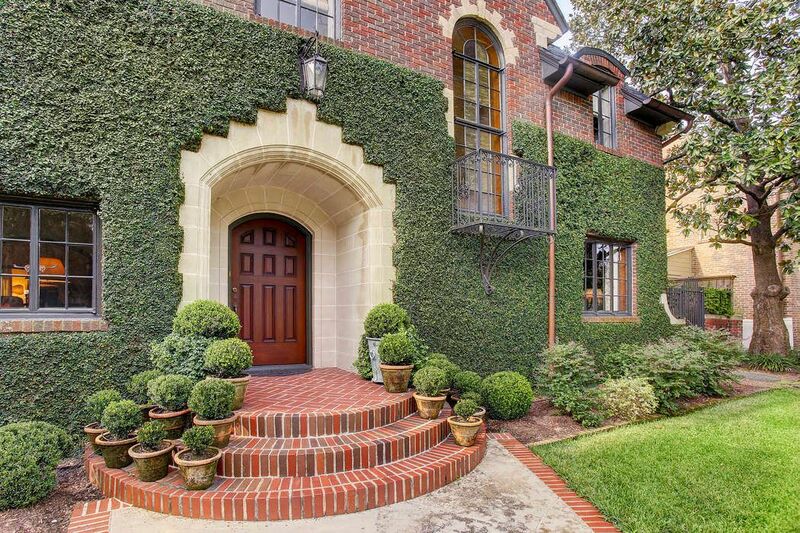 ft.
Fabulous English Tudor in River Oaks Country Club Estates. 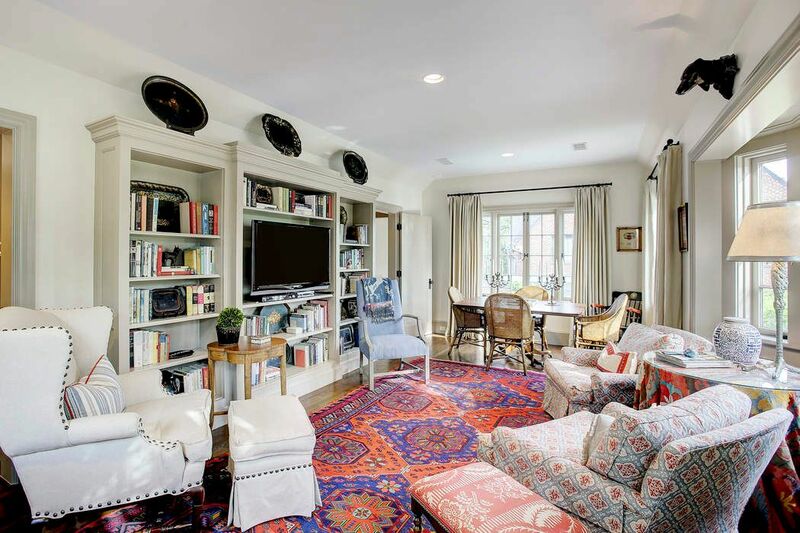 Remodeled in 1996 and again in 2014-2015, by renowned Houston Architects Curtis & Windham, with extensive attention to detail. Magazine quality elements and gardens. 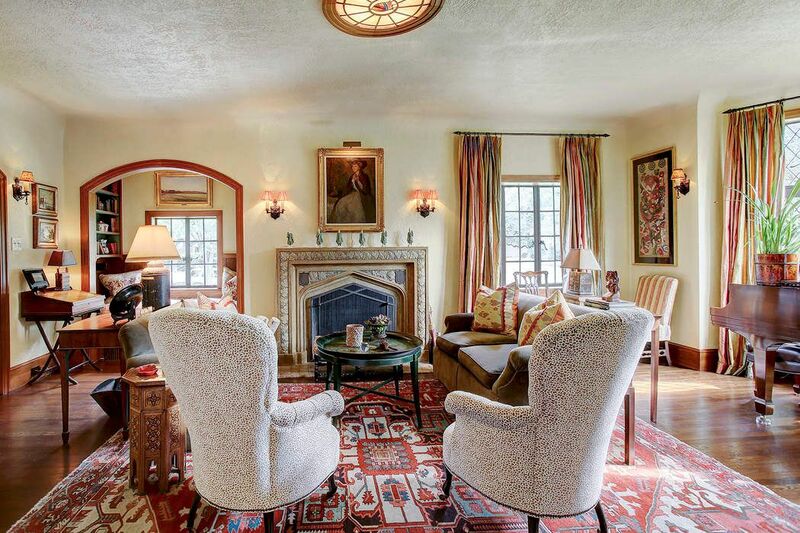 Original architectural features, stunning light fixtures, leaded glass windows and unique stair rail make this charming one-of-a-kind home a rare find. 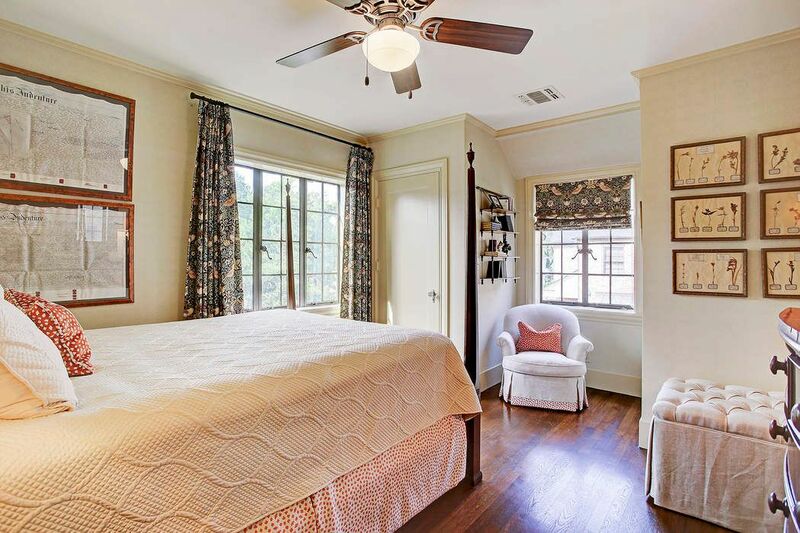 Gracious formals, four bedrooms, three full and one half bath, state-of-the-art kitchen, flexible third floor space for game room/exercise/workout, library, study and wonderful screened porch. Spectacular guest house (approx. 989 square feet) built in 2014-2015 with living, bedroom, bath and office. 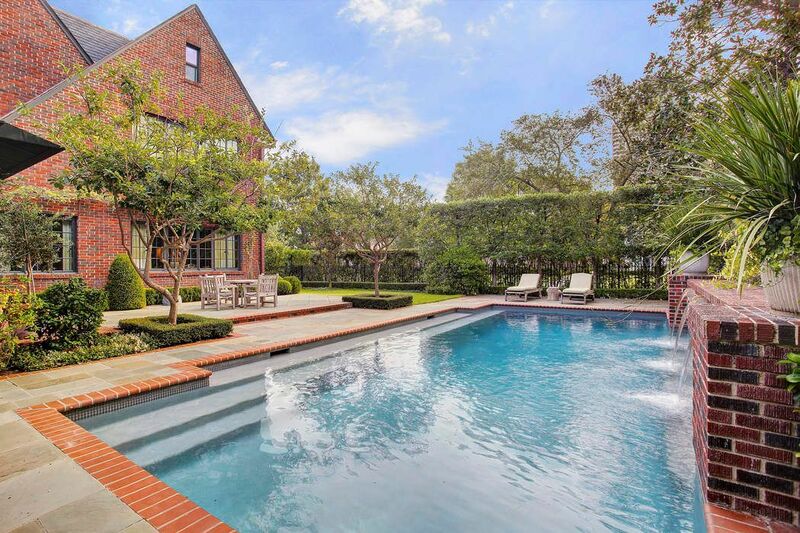 Beautiful pool and quintessential pool bath. 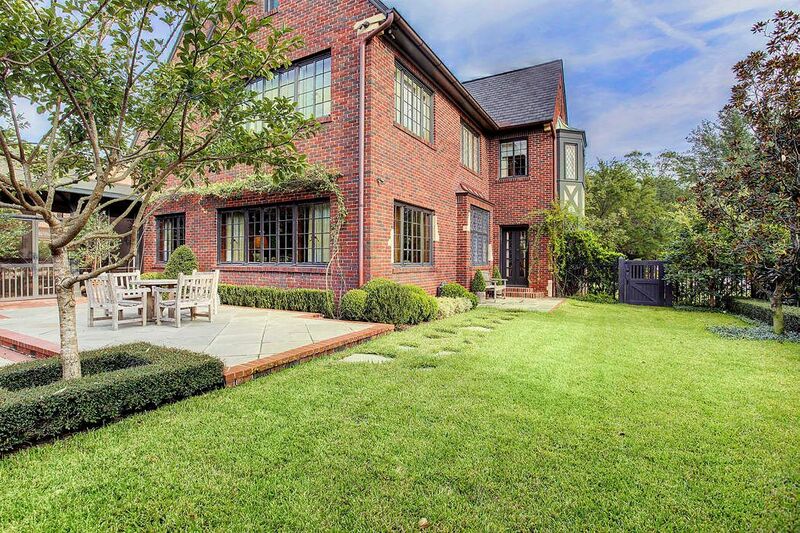 Classic home with timeless qualities, stunning architecture, exquisite details and highly functional layout.